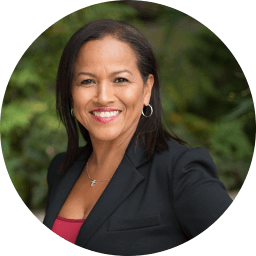 Carmen Sabater graduated from Concordia College in Bronxville, NY and earned her law degree from Ventura College of Law. Although she was recently admitted to practice law in California, she has actively assisted other attorneys in their vigorous pursuit to protect the civil and constitutional rights of others as well as protecting and serving the public as a former NYPD Police Officer. From 1981 to 1991, Carmen was a NYPD Police Officer. During her career as a police officer, her experiences ranged from patrolling the streets in New York to preparing cases for arraignment at the Bronx Criminal Courthouse to working in the elite Organized Crime Control Bureau (OCCB) as an undercover officer. Once she retired, she got her paralegal certification and interned with Culleton Marinaccio & Foglia, focusing on criminal defense. As a certified mediator by the Ventura Center for Dispute Settlement, Carmen is well versed in dispute resolution, understanding that parties can sometimes be well served by early settlement as an alternative to litigation and trial. While in law school, she interned at Schonbrun DeSimone Seplow Harris & Hoffman and was an integral part of a team that represented Allen Harris, a disabled man who was the victim of excessive force by the LAPD, resulting in a $1,686,000.00 verdict. She brought to the case her expertise in police practices and policies. Her experience is invaluable in prosecuting cases on behalf of individuals who have been harmed by police misconduct including wrongful death, excessive force, malicious prosecution and false arrest. Carmen also used her experience to assist in resolving and prosecuting employment cases on behalf of those subjected to discrimination, harassment, or unlawful employment practices. At this juncture, Carmen is pursuing her passion in representing those who have been victims of civil rights and constitutional violations as she has accepted an Of Counsel position with V. James DeSimone Law. She is looking forward to achieving justice as well as advocating for new policies and procedures as proactive preventive measures to improve police and government services.